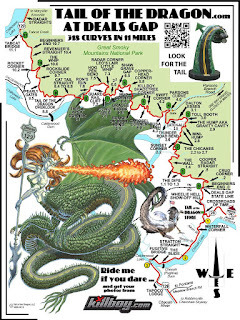 The "Tail Of The Dragon" is the name for a section of US 129 that is one of the "holy grail" roads for motorcyclists. 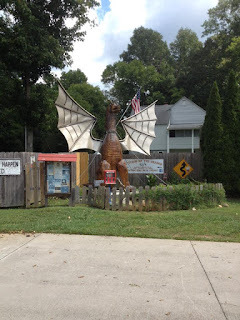 The road can be found in southwest North Carolina and runs over the Smoky Mountains into Tennessee. 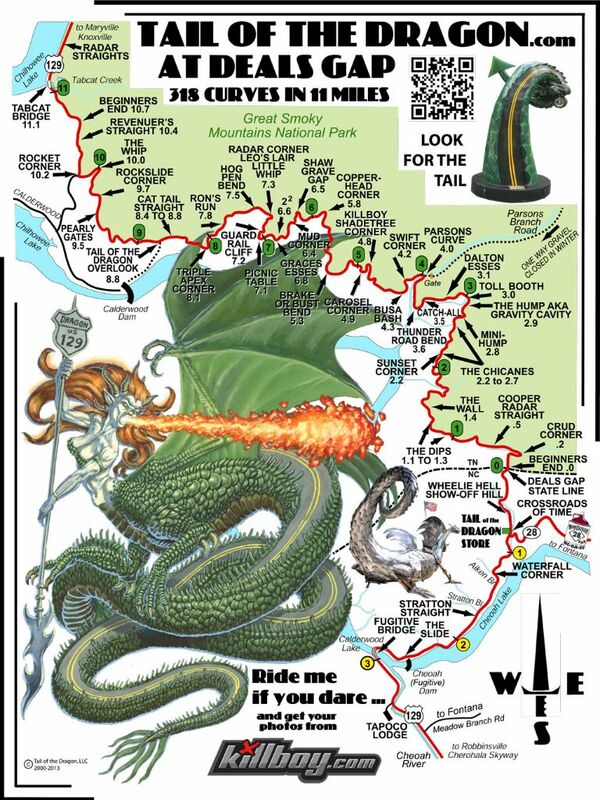 The appeal is 318 beautiful corners over 11 miles. 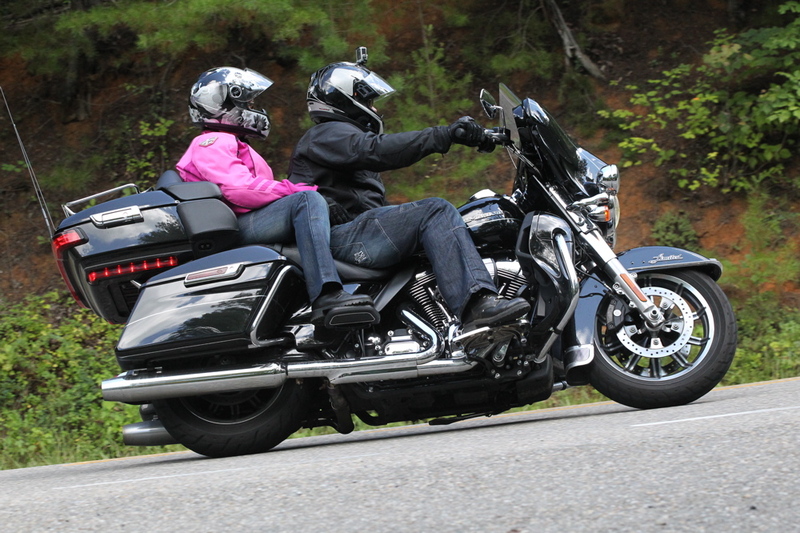 The corners on the Tail Of the Dragon are well built and smooth. The real challenge is navigating all the traffic, usually motorcycles, and paying attention to what you're doing instead of watching the beautiful scenery. 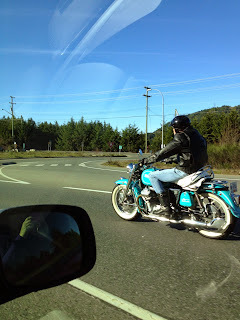 We happened to be in the area during the Thunder In The Smokies Fall Rally and there were motorcycles everywhere. It was great! Along the road you'll see a few professional photographers and more then a few "other" photographers. The professionals are taking your picture and hope that you'll check out their website and buy a few of yourself. The photos are very good and reasonably priced, for me at least. Now the "other" photographers are set up hoping to catch someone crash, which is common apparently, and gain notoriety that way. 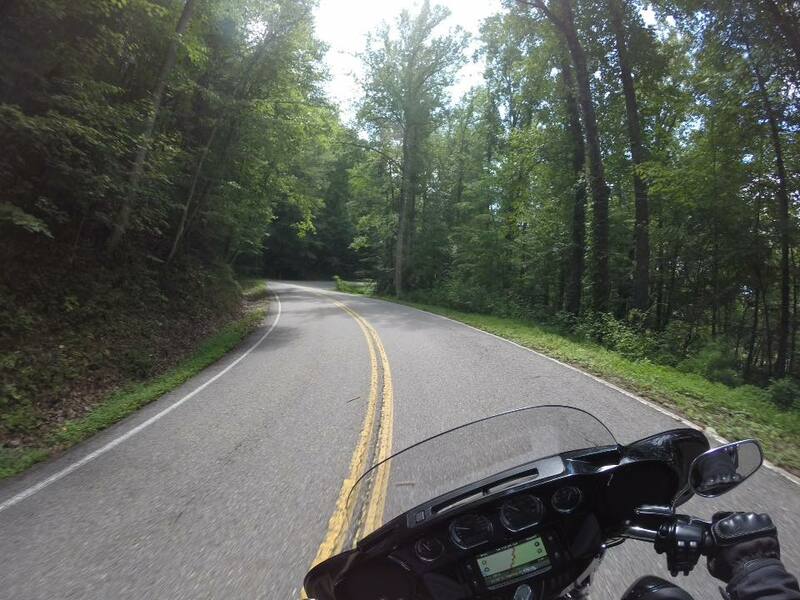 The Blue Ridge and Smoky Mountains are a motorcyclists dream playground and The Tail Of The Dragon is but one of hundreds of sections of curvy, challenging and scenic roads in the area. If you like corners, this is the place to ride. It's nice and all, but I found it to be somewhat overrated. Mind you, I'm spoiled, having lived in close proximity to California's Hwy 1 for many years. 6. Realize there's not much to see over the course of the 11 miles (e.g. little towns, overlooks, etc.). It's just a lot of corners. Meh. To each their own, of course. But it didn't like any fireworks for me. Thank you for your comments and your list of things to keep in mind. I agree! Personally I enjoyed this road, however I had more fun on the "other" roads in the area that are far less crowded. Living in the Northwest and having spent time living in Southern California, I have some of the best riding roads close by so this was something different. My favorite overall area to ride in North America is still Utah. Great on and off road and the scenery is amazing.